Disclaimer: I am not a doctor and this content is general information. This does substitute for medical advice, diagnosis treatment. Always work one on one with a doctor. 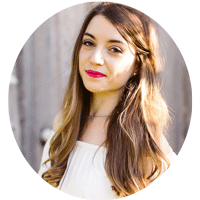 Hashimoto’s disease comes with a myriad of uncomfortable, and often debilitating symptoms ranging from brain fog to weight gain, to intolerance to cold. Though the symptoms may seem endless, there is a way to alleviate them and heal, and that process starts with awareness! When I was first diagnosed with Hashimoto’s at 17 years old, I thought it was an incredibly rare disease. I had no idea how common it was for both men and women, and how it’s becoming increasingly more common in younger women as well. I spent hours Googling my list of symptoms trying to get a handle on what was going on and continued to come back feeling confused and alone. 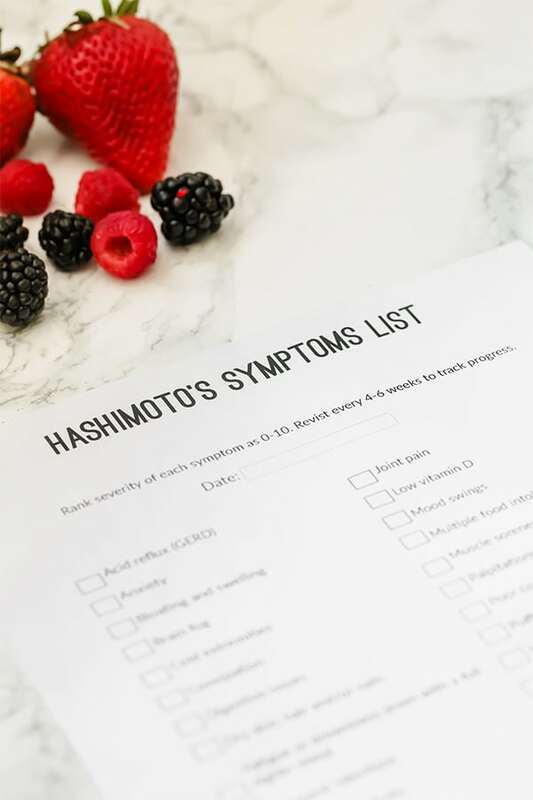 The list of Hashimoto’s symptoms is long, confusing, and has a lot of overlap with other conditions. It’s important to remember that just because you experience Hashimoto’s symptoms, it doesn’t necessarily mean that you have Hashimoto’s. 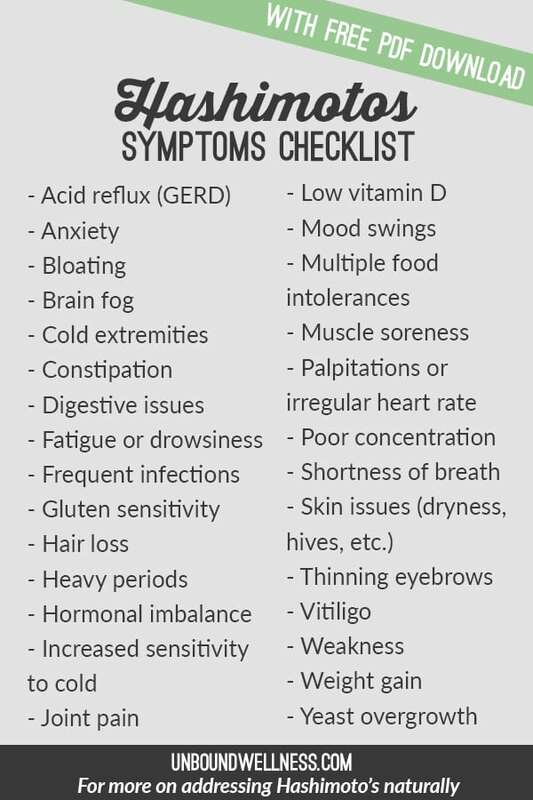 Also, even if you have other symptoms that aren’t on this list, it could still be related to Hashimoto’s. Autoimmunity and thyroid issues are both complex, and this is only scratching the surface! The thyroid is part of the endocrine system and helps balance the rest of our hormones within the body. When the thyroid gland becomes compromised it can impact the entire endocrine system. This is why we can experience things like estrogen dominance, heavy periods, weight gain, and more. The body is all interconnected! The gut has a direct line that connects it to the brain, and when we have gut issues, we can have mood-related symptoms. 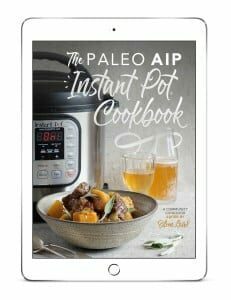 It’s also said that inflammation as a whole can cause brain fog, and more, which is a huge factor in all autoimmune disease. Skin issues can often be very related to our hormone balance which the thyroid plays a huge role in. Those with autoimmunity can experience a lot of inflammation. General chronic inflammation can lead to joint pain, muscle weakness and more. How Do You Address These Symptoms? The million dollar question… what do you do?! I am not a doctor, and none of this is medical advice diagnosis or treatment. You have to work with a doctor to guide you on your Hashimoto’s journey. There’s just not doing it alone. I have a blog post to help with finding a doctor here. Working with a doctor is necessary for the beginning, and I’m an advocate for medication when it’s necessary and prescribed. However, the journey doesn’t stop there. There is so much we can do holistically with diet, lifestyle, and more, to manage our symptoms and address the root cause! I’ve documented my own journey of healing holistically here. In order to move forward, you have to have a clear path and track your progress! So often, we get caught up in the day to day and don’t realize when we’re improving, or taking steps backward. That’s why I created an easy little PDF for you to download to help track your symptoms! You can either print this or edit it on your computer and save it. It’s both helpful to track your own symptoms for your own benefit, and it’s great to have a record to bring to your doctor to better work with them! Regardless of how overwhelming this all may seem, there is hope! I can tell you first hand as someone that struggled with all of these symptoms and more on a day to day basis that there is hope. Keep your head high, keep trying new things, and keep learning and growing.